From the crater edge on, it is a 1,5 hour walk to Uhuru on 5895m. And there you are, completely exhausted but enormously glad that you have reached the highest peak in Africa. 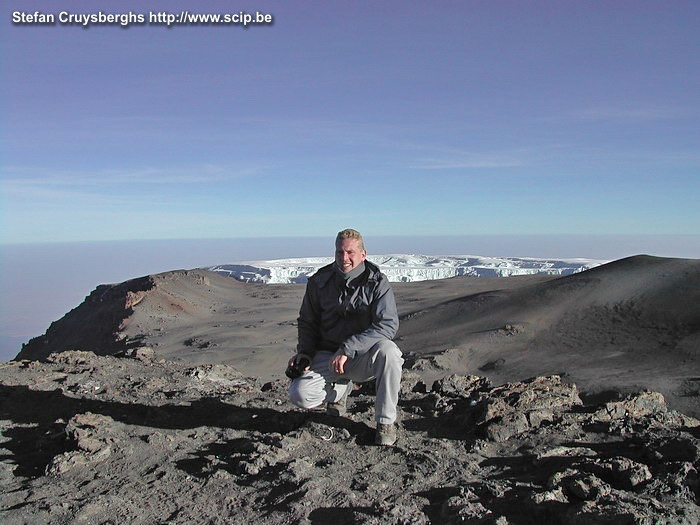 After this there is still a long descent, first to the Kibo hut and then straight on to the Horombohut. After a long nocturnal fight to the finish of about 14 hours of walking there is finally some food and after this benefical meal everyone gets into their sleeping bag.